No more nice-guy nonsense about history. It’s time to learn it the horrible way. Forget the yawnsome bits and check out the nasty bits. It’s historically funny! 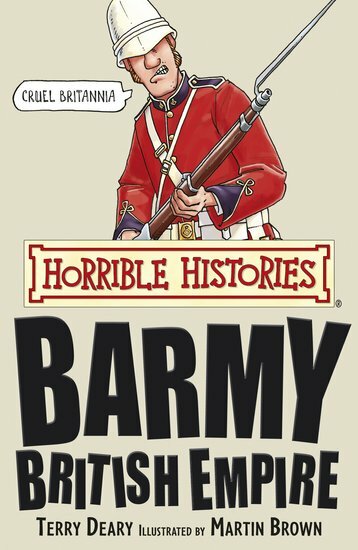 Meet the Barmy Brits. Lots of countries beat them at football. But no one beats them at horrible history. Were the Brits happy sitting at home being yucky? Oh no! They spread their gross deeds all around the world. Which involved: a massive Empire. Cruel conquerors. Savage slavers. Rotten rebels. Wearing a necklace made of 50 human skulls. Using a coffin as a wardrobe. Told you they were barmy!